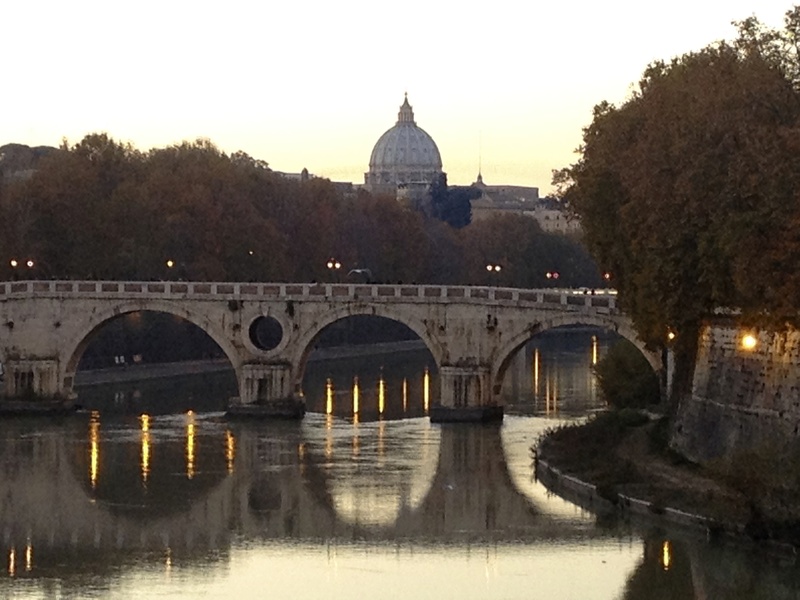 In my opinion, Rome is one of the most beautiful cities in the world. The history, the architecture, food, people, all of these things and more make it my favorite city. My most recent and fondest memory of Rome is from December of 2013 when I got engaged, to the love of my life (but that’s not what we are discussing today). 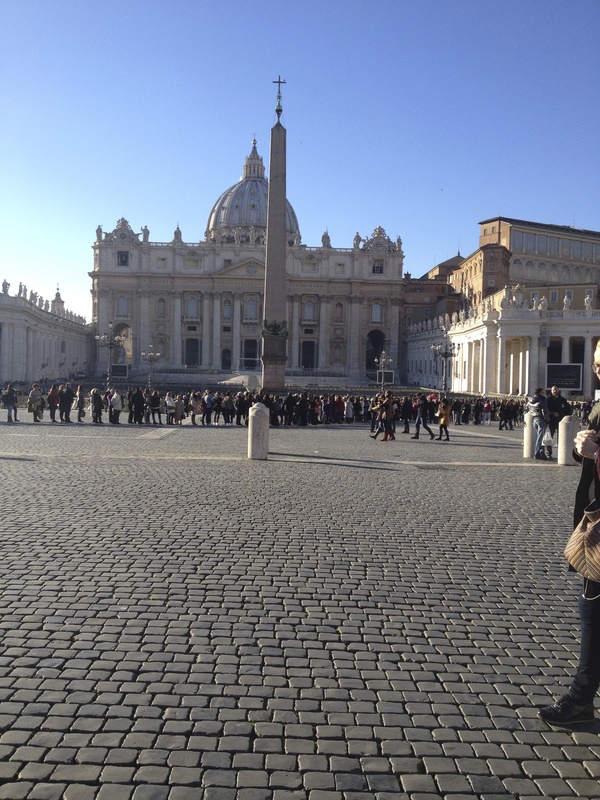 My first memory of Rome was when I was 15 years old. My parents sent me off to Italy with my cousins to visit family. At 15 we were hesitant to go because we thought its just so much more fun to stay back home in San Francisco with our friends… boy did Italy prove us wrong. This is where our obsession started. And our pride for coming from an Italian family! The first thing I remember from that trip was family picking us up from the airport and taking us to our home for the week, a flat in the center of Rome, just the girls, no parents. What were they thinking? 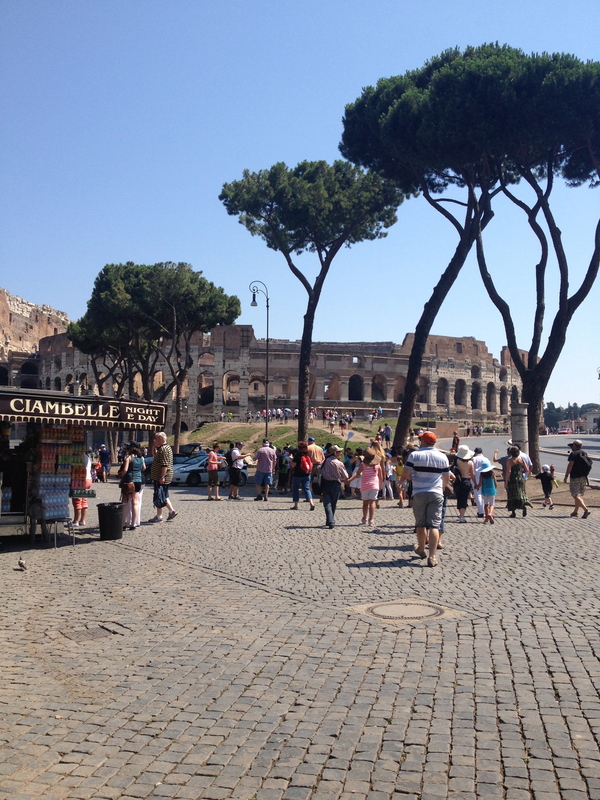 But on the way, one of the first things I saw was the Colosseum. What struck me most, aside from its presence was the history that was standing in the middle of the city, as people are driving home from work, going out to dinner or whatever it may be. It left me with wanting to see so much more and did we! So 20 something years later (I’m aging myself now) I returned to the beautiful city with my boyfriend, little did I know he’d have a new title as fiancé before we left! 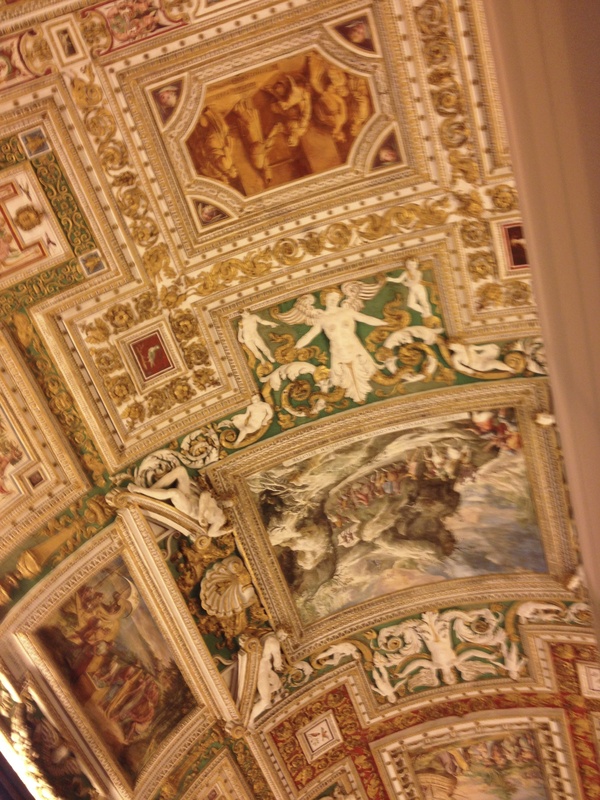 We saw Rome in a weekend. You might think it’s not possible, but yes my friends, it is. Here are some of my favorite photos from the weekend. Scroll a little further down to see a few of our suggestions for food. TIP: Request a room facing the Pantheon. There are many restaurants in the piazza as well. We didn’t eat at any of them but we did sit outside and enjoyed a drink while people watching and soaked in everything going on around us. Tip: Worth the walk! We started at the center of Trastevere and made our way up to Gianicolo Hill. 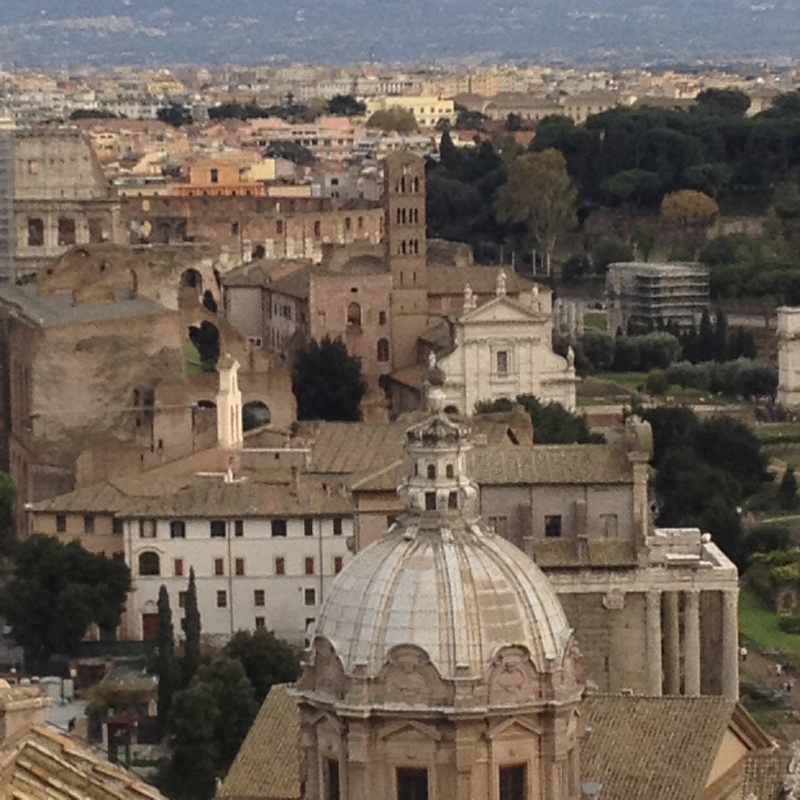 The view stretches over ancient ruins, monuments and baroque domes. 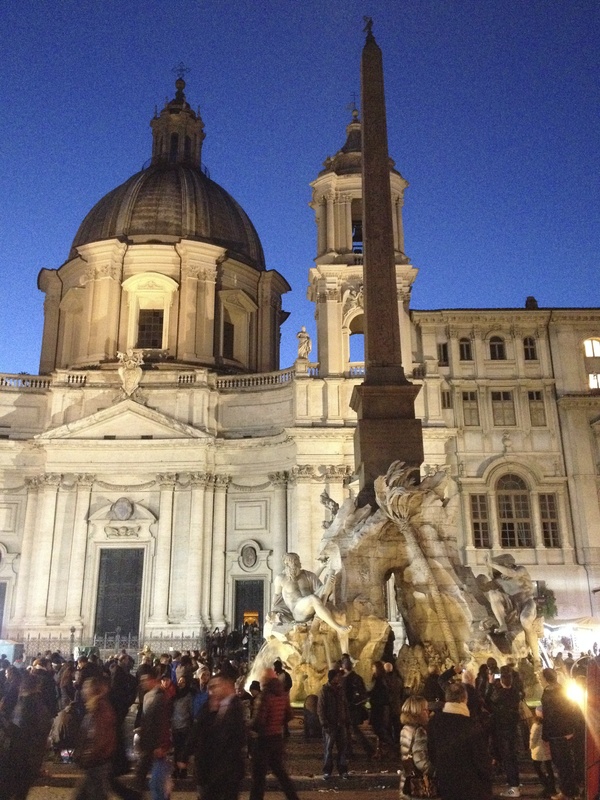 TIP: Take a walk over to Piazza Navona at night. Its buzzing with people, the marketplace is open and there are plenty of restaurants to sit outside of and do more people watching. TIP: Take a walk over this bridge as the sun is setting. A bridge is a bridge, right? Not exactly. The reflections off the water and make it breathtaking. The Colosseum. You’ve seen it once, that’s enough. Not for me. Every trip to Rome deserves a walk to the Colosseum. Maybe it has something to do with the memories of my first trip to Rome. I just can’t seem to get enough of it. 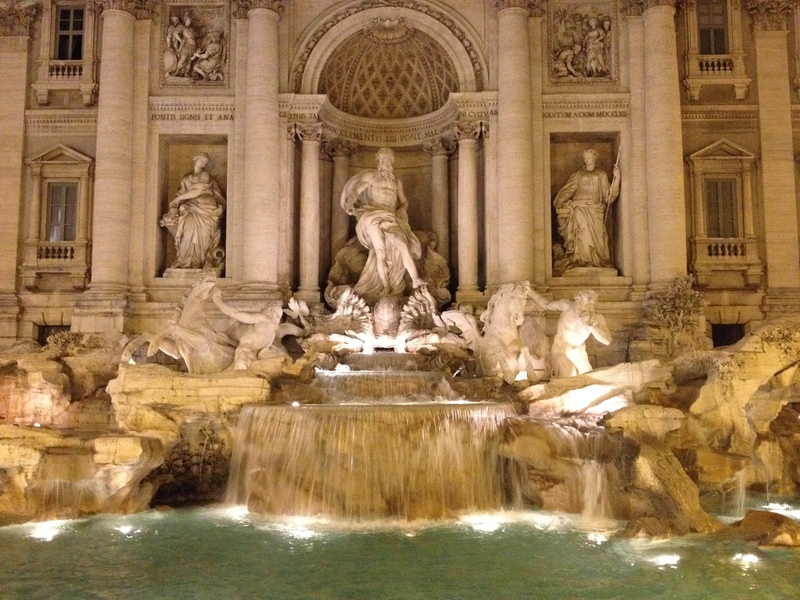 Don’t forget to throw a coin in the Fontana di Trevi. I did with each visit and I keep going back! 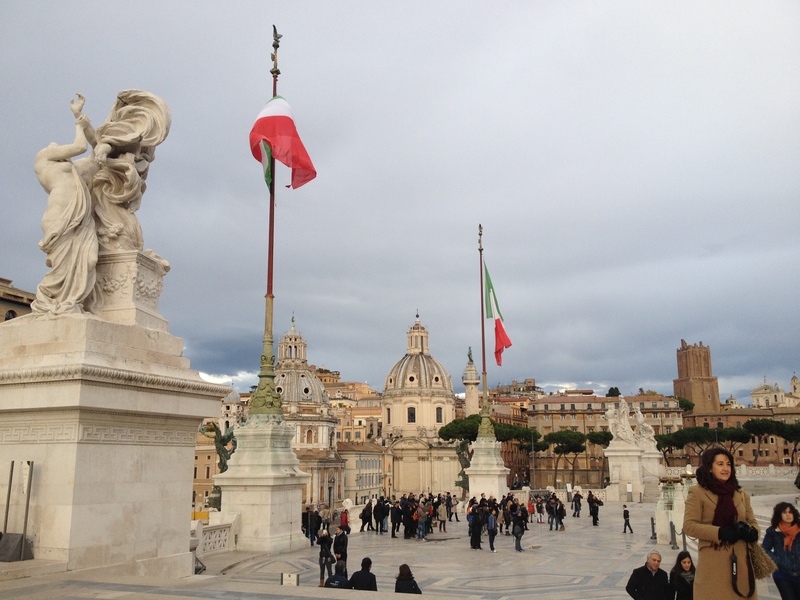 TIP: Pay the 7€ and take the elevator to the top of the Vittorio Emanuele II Monument. 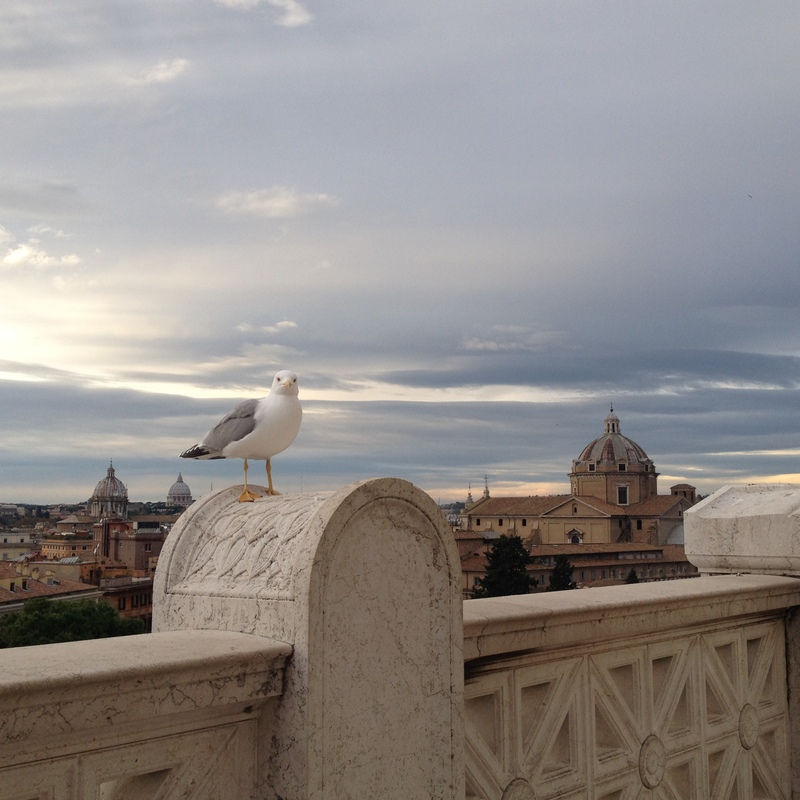 The views of Rome are breathtaking. 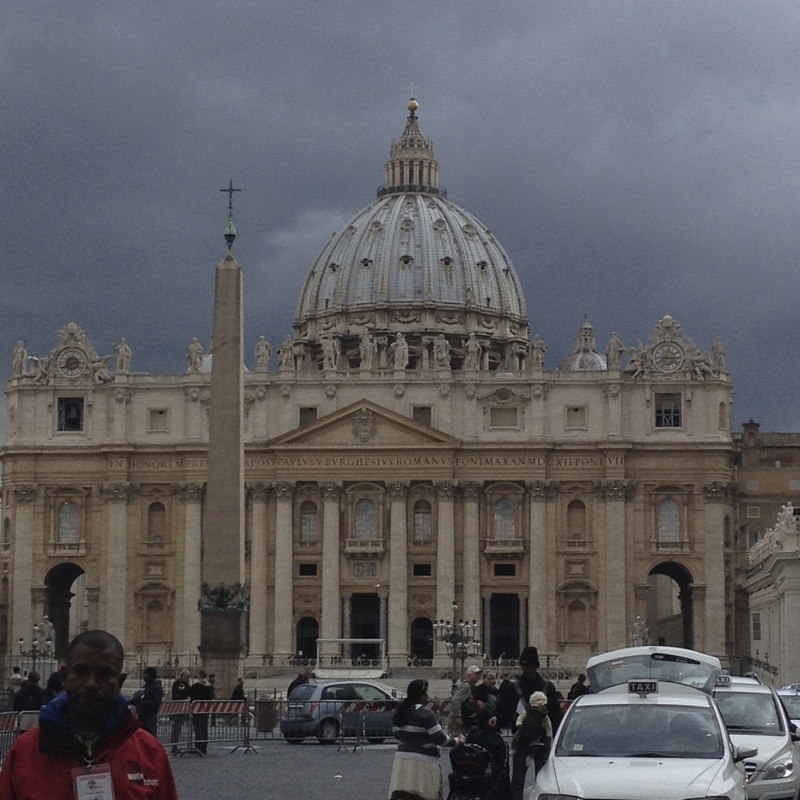 From the Colosseum to the Vatican you see it all. 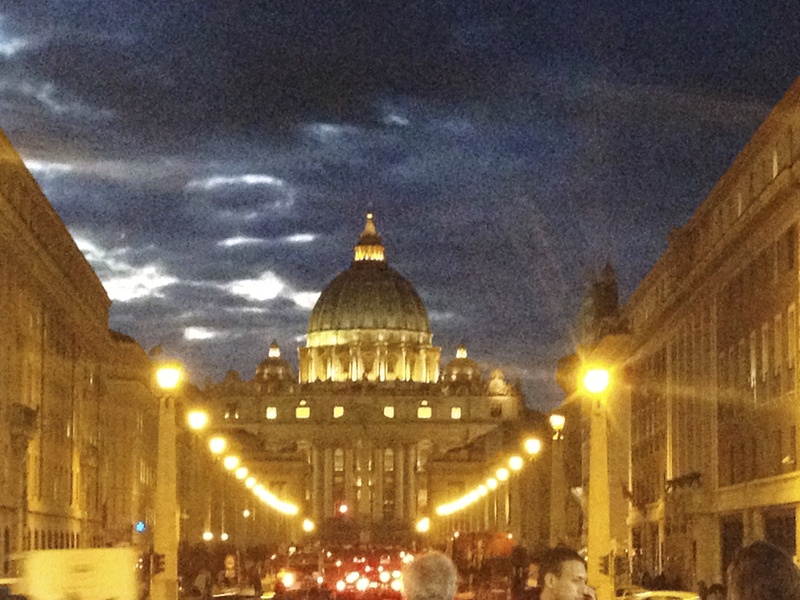 TIP: Buy your ticket to visit the Sistine Chapel a few days in advance during peak times. Avoid standing in extremely long lines and walk right in. 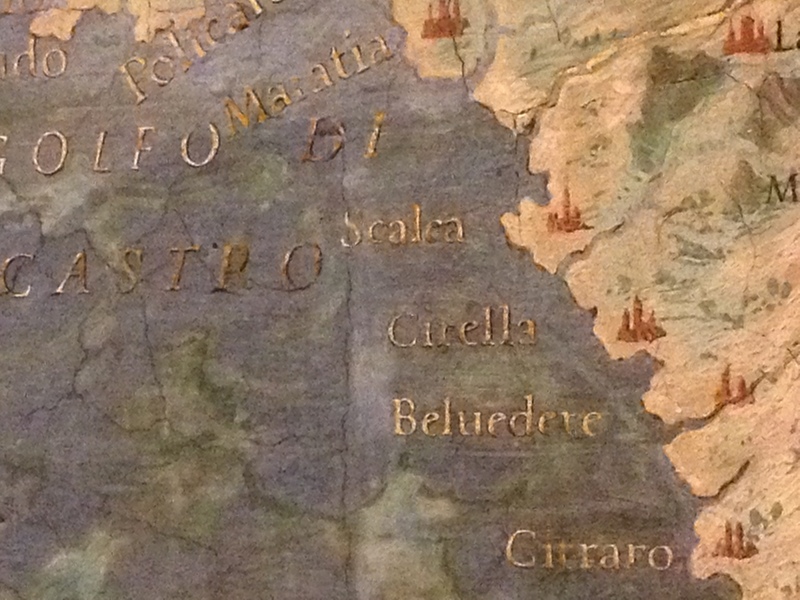 Map of Italy, showing Cirella, beautiful beach town where I spent my summers growing up with the family. 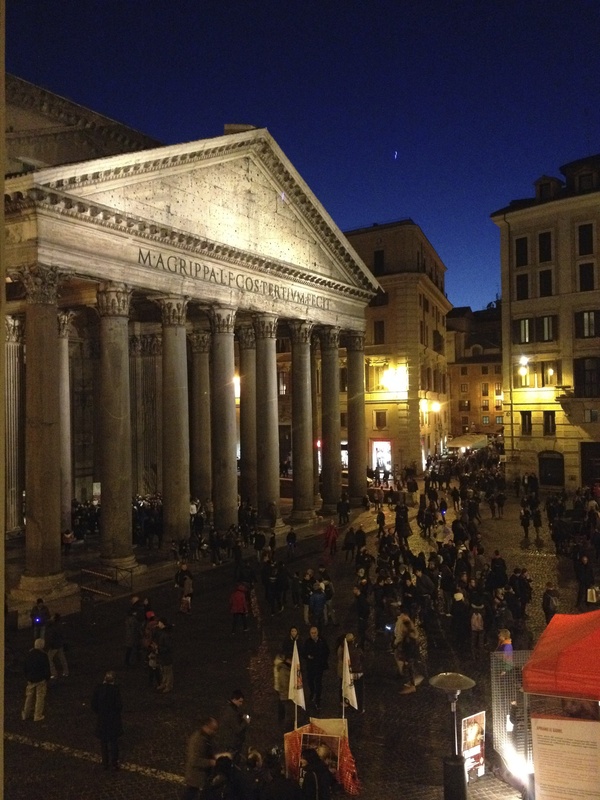 This hotel is in the center of Rome with beautiful views from the rooms of the piazza and the Pantheon. 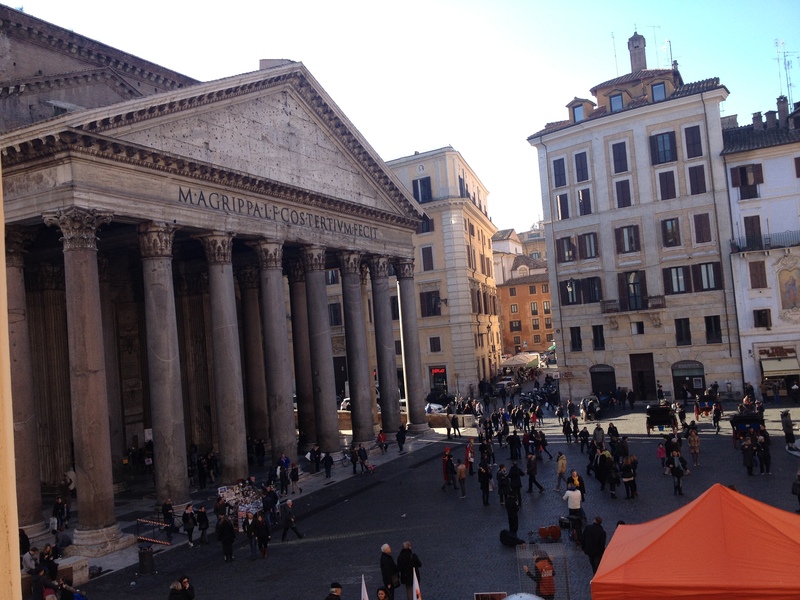 When I say ‘view of the Pantheon’ I mean right outside of the room as in you could throw something and hit it … even with my bad aim. I am not suggesting anyone try that. It’s also conveniently located so you are just a short walk from most of the other sites. The staff was very welcoming and helpful. 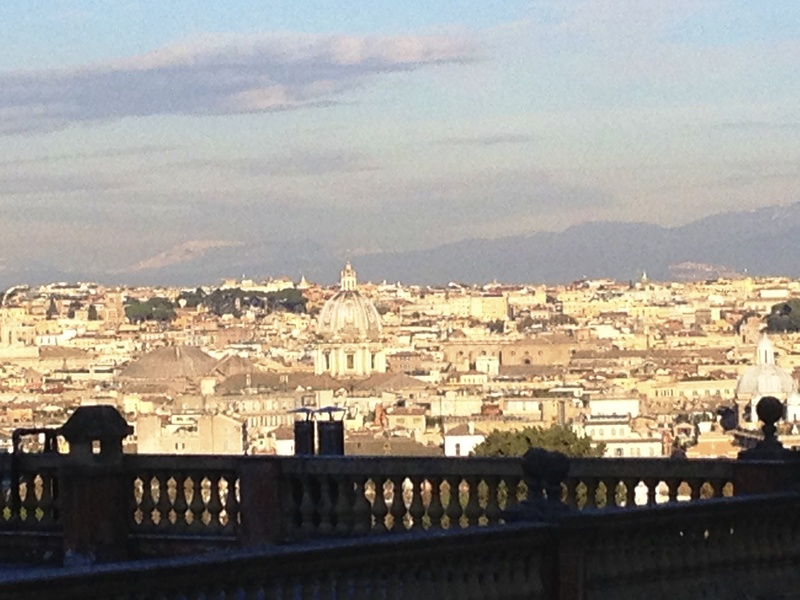 There is a beautiful rooftop which is always open so you can bring a drink up and enjoy the view which not only includes the Pantheon but on a clear night you can even see the Vatican off into the distance. In the summer they open up the rooftop bar which sounds perfect! We will definitely go back. Homemade Italian pastas made right in front of you. Try the cacio e pepe a traditional Roman dish. Amazing! I have to recommend this restaurant not only because it is owned by a friend but just as important because it has delicious Calabrese dishes. It’s located at Campo di Fiori so sit outside on a warm night and soak in the culture, people and everything else happening around you. Cozy little restaurant off the touristy area with delicious pastas and pizzas. Popular gelato spot but I had the granita al limone. Refreshing and delicious. 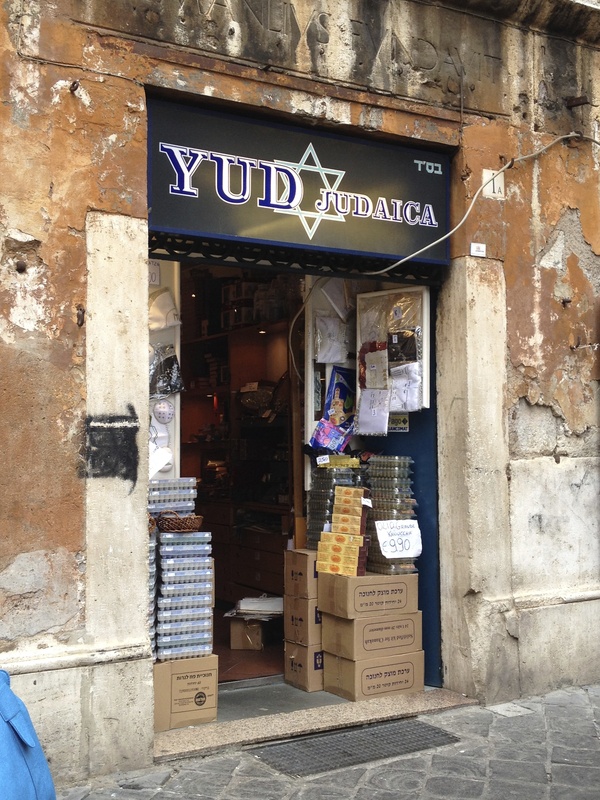 Little gelato spot we found while wandering through Rome. I’d go back just for the After Eight gelato! Yummm! Thanks for stopping by. Arrivederci a presto! While most of us know the first day of Spring to be March 20th, in Denmark they make up their own rules and this year it fell on Saturday, March 1st,, or so I am told. It has something to do with reaching a certain temperature , which I’ll tell you, didn’t go above 4C (40 Fahrenheit). 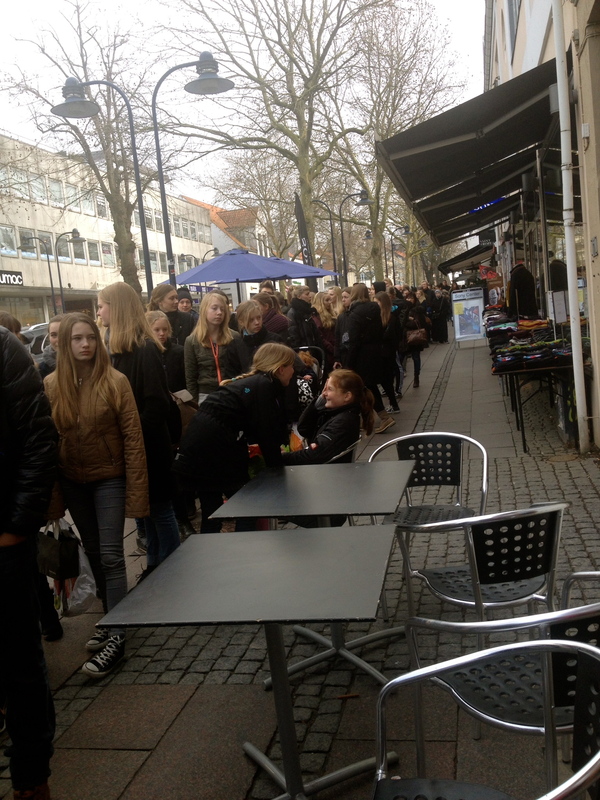 One thing is for sure though… it doesn’t matter what the temperature is outside the Danes love their ‘IS’ better known as ice cream. It could be snowing out and you will still see people taking a walk and eating ice cream. It must be the Viking blood. Anyway, I’ve decided to join this madness. 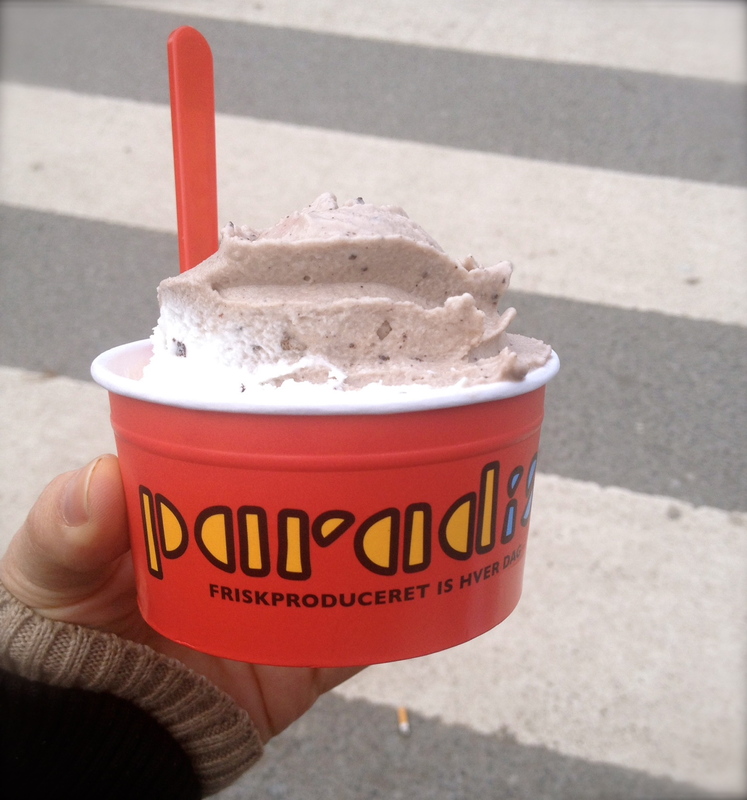 This weekend everyone’s favorite seasonal ice cream shop opened, Paradis Café, or at least I like to think of it as a favorite. Why? Because this ice cream is like crack. Yes it’s like a drug. I was never a huge fan of ice cream (aside from Ben & Jerry’s Chunky Monkey) until I moved to Denmark. Now I find myself waiting for Paradis to open its doors, alongside the rest of the Danes (see picture below). Maybe its because its made fresh every day, using only the freshest and highest quality ingredients. This is how I justify going back, on a regular basis. Now my California friends… if you are interested in tasting this ‘drug like’ ice cream you are in luck! Our friendly Danes helped open up a franchise in Southern California. Paradis Café can be found in Montrose, Los Angeles, Long Beach and Huntington Beach. So if you are taking a stroll on a winter or summer day and come across this place fabulous spot give it a shot. The line on “opening day”. museum of natural history. There you will find a variety of Danish cafes serving brunch on Sunday mornings. We stopped in at the Café København. Quite a spread which consisted of eggs, bacon, lox, fresh meats, cheeses, pastries or “danishes’ (as I like to refer to them just to remind people that I am indeed an American) and Schnapps , for most Danes a tradition. Unfortunately I can’t handle the Schnapps at 10am so I settle for MY traditional mimosa. Overall I really do enjoy the brunch but I mostly like going here for a beautiful walk around the castle and of course the shops along the way. Café København (Torvet 4 3400 Hillerød). Much to my surprise the day continued with more Danish traditions. It was time to celebrate Fastelavn. This day is similar to Carenvale, only that these days its more of a day for the kids to dress up and bang on a barrel, similar to a piñata, that holds candy and a black cat. 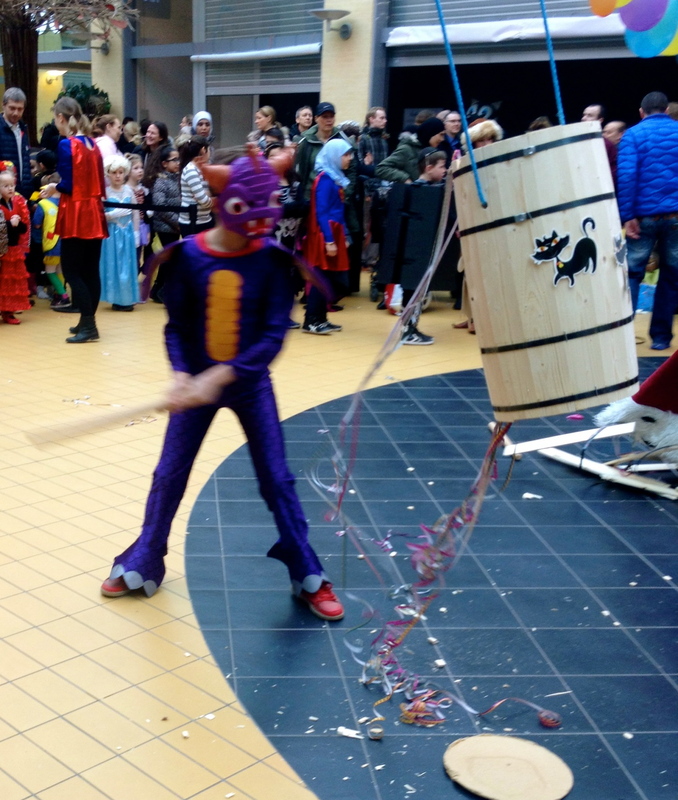 You must bang on this barrel, break it open, and the last person to knock down the last piece of the barrel, which is suppose to be the figure of the poor black cat, wins a prize and becomes the kattekonge (“king of cats”). The black cat is supposed to ward off evil. And of course there is a pastry/bun associated with this holiday, as there is with most holidays in Denmark, the Fastelavnsbolle (Shrovetid buns). 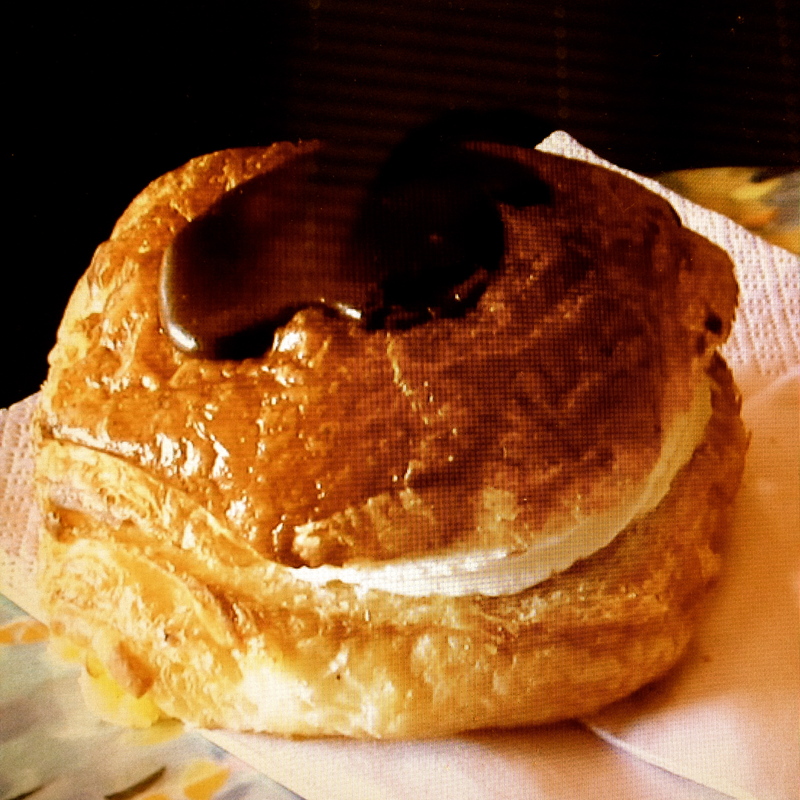 It’s a round sweet roll usually covered with icing and sometimes filled with whipped cream. Bottom line, don’t mess with the Danes and their buns (or sweets :)). Til next time mine venner (my friends)! 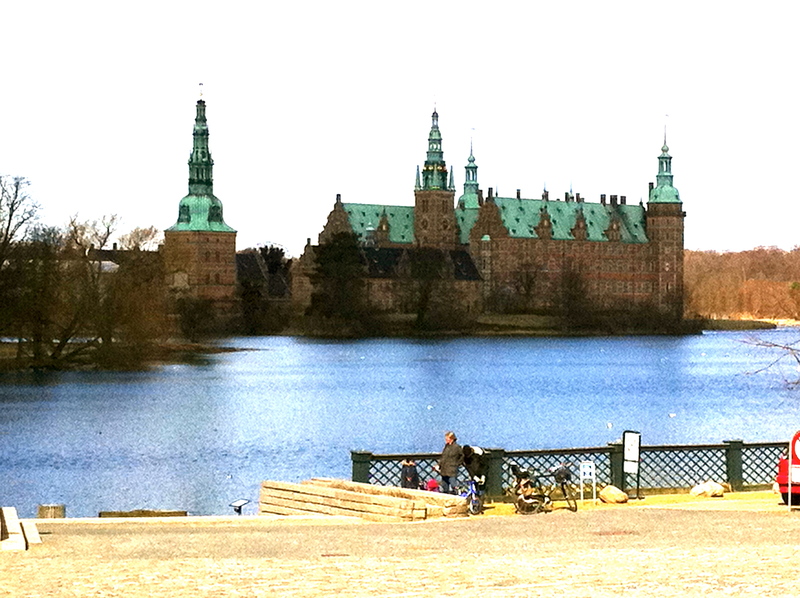 a blog about an American girl living in Denmark and my favorite things in life… love, living, traveling and eating. join me on my adventures.